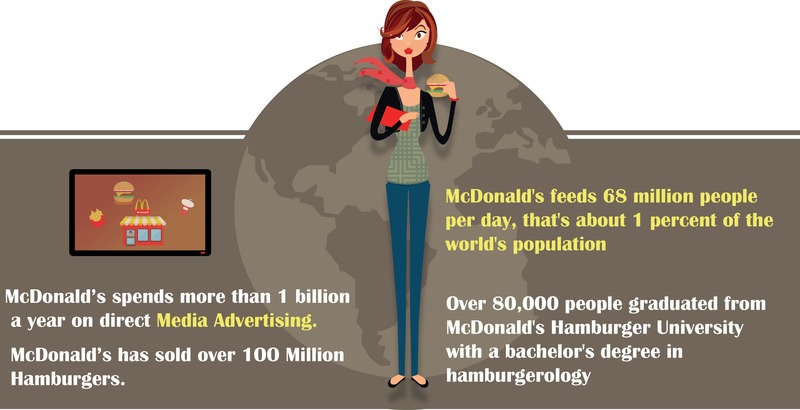 Info graphics and fun facts about Mc Donald's fast food Restaurant. Illustration explains facts in fun and interesting unknown details about restaurant. A graduate of New Zealand’s finest creative institution - Media Design School, with 5 years of industry experience backed by tertiary qualifications in computer science and creative technologies. I am proficient in the use of computer aided design software, wide range of graphics, website templates, logos and marketing materials (e.g. flyer's, banners, visiting cards, menu design, brochures and book covers) for clients. I am also well versed in typographies, broadcast designs, branding, signage designs, corporate identity, catalogs, newsletters, presentations, and traditional painting. My experience includes field work in data entry, administration, sales and marketing.